Hunt for Strength's Team Training program has the ability to either your train your team at our facility or come off-site to your place.  No matter the location chosen, Hunt for Strength is able to offer premium services to satisfy your training needs. We have experience working with youth recreational teams, high school and travel teams, AAU programs, as well as collegiate teams. Coaches and program directors have entrusted the development of their teams to our training expertise. If you are interested in learning more about our training programs and how we can design a budget friendly training experience for you and your team, please email Cornell@HuntforStrength.com.